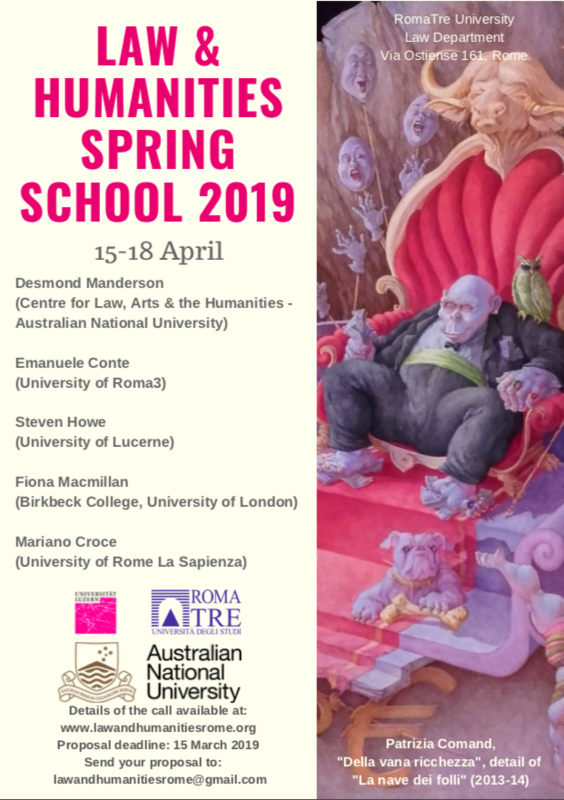 We are proud to announce the first Law and Humanities Spring School at RomaTre. This event sees the participation of experts in the field coming from different countries, thanks to the collaboration between the RomaTre University, the Australian National University and the University of Lucerne. 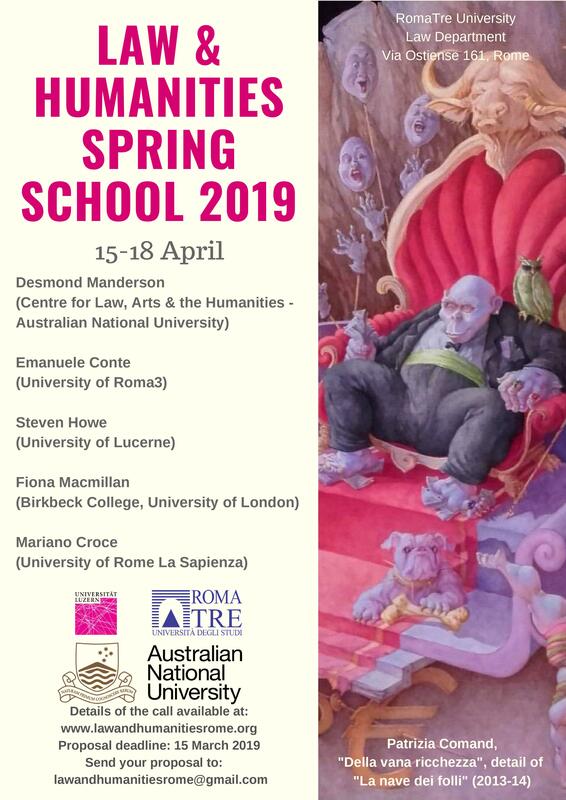 The Spring School will take place at the RomaTre University Law Department, Via Ostiense 161, 00154 Rome (room t.b.a. ).